While I haven’t had a long history with the Tales series, you could call it a weird one. I first got into Tales, with Tales of Vesperia. However, about halfway through, I got overwhelmed by all the side content. Then, I lost track of what I was supposed to be doing. After that, I played about seven hours of Tales of Zestiria. But I stopped playing, because I lost interest in it. 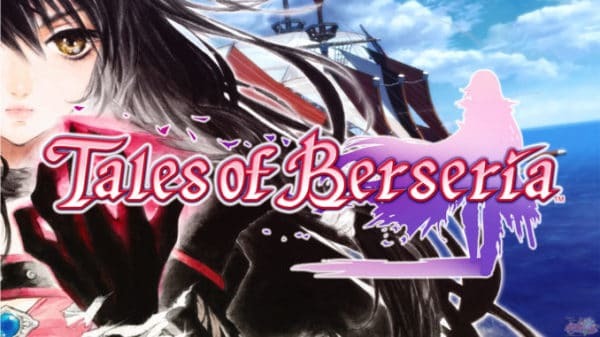 Now,here’s the latest game, Tales of Berseria. A prequel to Zestiria. I actually beat this game, but it was a long one and there are a few issues that crop up as well. 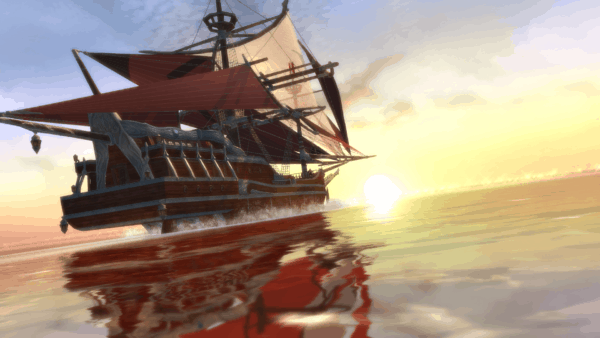 Tales of Berseria takes place hundreds of years before Zestiria, in the land of Midgrand. The game places you in the shoes of Velvet Crowe. The first hour or two introduces you to Velvet’s brother, Laphicet, and her brother in law, Arthur, living a fairly simple village life. One day, you wake up to find demons have overwhelmed the town and that Arthur is sacrificing Laphicet to a red moon. Velvet attempts to stop it, but her arm gets corrupted by the Demonblight. A Demon sense that turns people into demons. Velvet gets thrown in jail due to the demonic arm, which can essentially eat demons. Three years later, you escape with revenge against Arthur on the mind. Arthur now calls himself Artorius, and is the head of a new Abbey that is bent on purging the world of demons. So, on the outset, this isn’t exactly a happy and cheerful game. Velvet initially starts off like most bright-eyed and bushy-tailed RPG heroes. However, after jail, she becomes rather bitter and nihilistic. Focused solely on her revenge. You come across other characters like a cursed pirate. There’s also a fatalistic witch and another demon who is hell-bent on killing his brother. 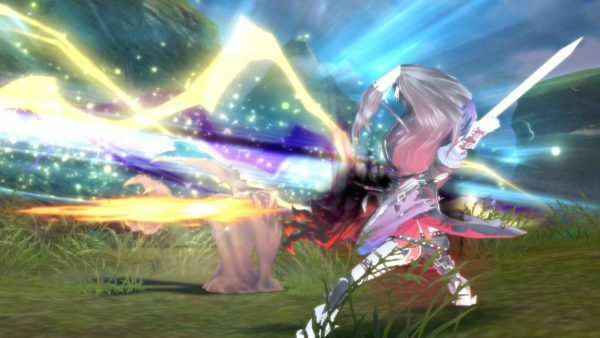 Then, you realize that Berseria isn’t like most traditional RPGs. Honestly, the story and dark characters are probably one of the biggest selling points. The only two semi-good characters in the game are Laphicet, not your slain brother but a malak (magical spirit) who is fairly innocent. Eleanor who is an exorcist (demon hunter) for the Abbey. She falls in with your group after failing in her duties. 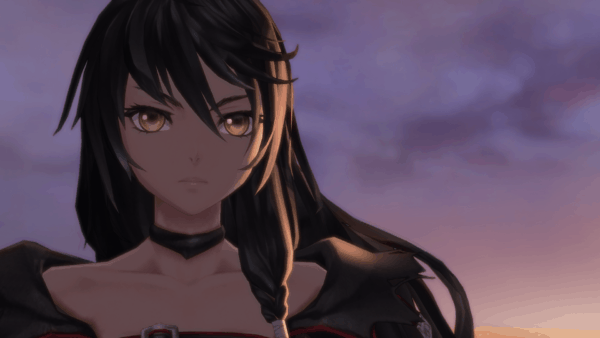 Berseria kind of runs her through the ringer also, as she makes proclamations that everyone should be good. Thinking that what the Abbey is doing is just. While almost every other main character thinks she is an idiot. 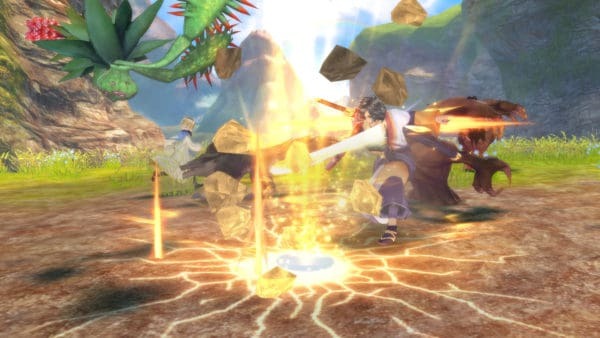 The battle system is a slight variation from past Tales games. Although it is still about 95% the same. Instead of a normal bar, you have a Soul Gauge. This is represented by glowing crystals above your life bar. You start out with three initially, and as you perform attacks, they go down in halves. Once you expend them all, you can still attack, but your attacks can be blocked much easier. Obviously, you won’t be able to do as much damage either. Luckily there are various ways to regain the crystals. You can take a breather and let them refill normally. Daze your opponent (which adds another crystal to the bar). Eliminate an enemy (which also adds a crystal). Also, by side-stepping an enemy attack at the right time. This causes an enemy to lose one of their Souls, and it becomes a collectible in the battlefield for you to pick up. Be warned though, AI party members also like to collect crystals. So, it can become an annoying race for a crystal. The face buttons perform different Artes (attacks) against enemies. The great thing is, the system does get deep on what combos you can create, or what attacks you can use for specific moments. Honestly though, if you play on normal like I did, you can mash your way through the game by pressing A. This is the “You decide” auto-attack option, and 98% of enemies fall to it. The other 2% fall prey to the Mystic Arts attack. If you press the RT button, your demonic arm comes out and that attacks the monsters. Immediately press the button, and you gain a small health boost. As well as, an increase in your attack power. However, there are drawbacks to it. This causes health reduction very rapidly. After about eight seconds you lose one of your Soul Gauge crystals. Although, typically, you either daze the enemy you’re focusing on easily enough, or out-right kill them. So, the Soul Gauge loss isn’t a huge deal. Especially, later on when you get more of them. Lastly, there are the Break Soul Artes, which are kind of like a super attack. There’s a separate Break Gauge, which is represented by a number on the right side of your character pane. Three levels in the gauge means you have at least three Soul Gauge crystals accessible. During a combo, you can then press the LT button, which triggers the Break Soul. This causes a flashy anime attack, which deals massive damage to an enemy. There is some tactical planning with the Break Gauge as well. Since it also determines character swapping, which only requires one level. You can only have four characters in a fight at once. While two remain on the sidelines until they are brought into battle. So there is some management involved, especially at harder difficulties. 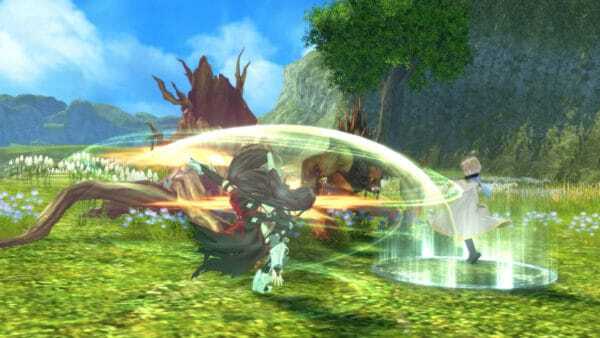 One aspect that remains a Tales stalwart is how it handles equipment and skills. While experienced is gained and levels are gained, you can get specific upgrade skills from wearing gear and weapons. For example, a sword might have a skill on it that makes you do +10% against armored foes. Perhaps, a pair of boots that gives a 1% chance to poison enemies is more your style. The skills are only active while this equipment is selected. After a set number of battles (depending on the specific item), you learn the skill. Be aware that this takes a little time and gets very tedious.The skill system issue gets further compounded by upgrading and getting better gear. You can break down your equipment to get base materials to upgrade other equipment. So, if you breakdown an amber sword, you’ll get an amber fragment. This adds a +1 modifier to the gear upgraded, going all the way up to +10. Upgrading an item boosts its attack power and occasionally grants a new random (item specific and unlearnable) skill. However, it’s all boring. It’s also kind of obtuse as well. Whenever you roll into a big new town, there are new bits of gear to buy, with new skills included. Honestly, it is monotonous to use the same sword for five or so hours, just so you can learn one skill and move onto the next one. Especially, if you have better gear in your backpack. Another troubling issue with Berseria, is the item management itself. I’d have less issues with it, if a new weapon or piece of armor occasionally dropped from a boss. However, you only get new items every third fight or so. I think the idea here is for you to break all the surplus gear down. Especially, since you can’t really buy material upgrades from a store. It also doesn’t help that the interface for doing this is so bad. Having to keep track of a dozen pair of Calcite boots in your inventory is an absolute nightmare. It just involves spending an unnecessary amount of hours inside these equipment menu screens. One odd thing I noticed in Berseria is that the game feels small. I don’t mean small in terms of story, it’s told well enough. The production values and things to do felt somewhat lacking. Most of the voice acting is “passable”, but nothing remarkable. However, the voice actress for a minor character named Kamoana is one of the worst things I’ve heard in a full-priced game. Areas in the game are also pretty small. They seem big at first. But once you get this hover-board thing midway through the game, you realize how tiny they really are. There’s also the annoyance of repeating certain dungeons in the game too. This also makes the game feel like it was on a tight budget in certain spots. There are a few side things to do in Berseria. You can send a ship out, like an Assassin’s Creed game. There’s a cooking system for crafting items. 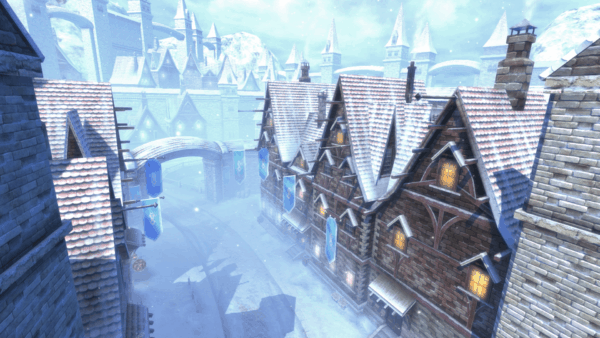 “Katz” chests, unlocked via spirits you collect, award cosmetic items. Then, there are also mini-games to collect currency. Finally, bounty hunts exist for hunting specific demons. The thing is, none of these activities feel particularly vital or interesting. more just perfunctory that they needed something on the side to keep it from being a completely linear game. Overall Thoughts: 7.5 out of 10 I enjoyed my time playing Tales of Berseria. The cast of characters and twisted story make it a pretty memorable game. However, the nuts and bolts of the game could have used some work. The game can also feel slightly undercooked and very tedious. If you like Tales games, it certainly fits right into the series. Outside of that, I could probably only recommend this for JRPG genre fans, who really want to sink their time into the game.